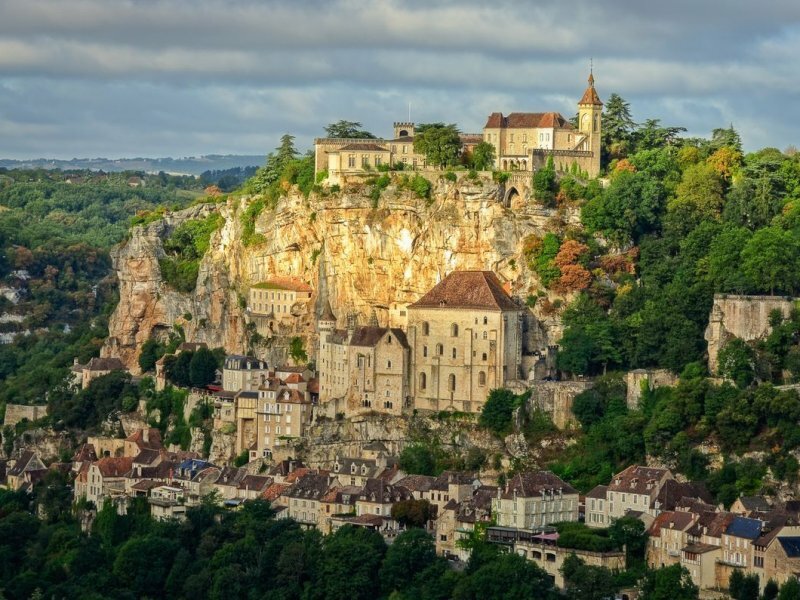 Tour Highlights : Valleys of Dordogne and Vézère rivers, historical villages of Beynac, Domme and Rocamadour, caves of Lascaux and Pech Merle, Sarlat market. 400,000 years ago, ancient man lived along on the banks of the Dordogne and Vézère rivers, leaving his mark on the walls of the caves of Lascaux, Rouffignac, Pech Merle and many others. Medieval fortresses dot this region of steep-sided valleys and rocky headlands, all connected by a maze of narrow country roads. You will discover a swirl of colors and flavors between Perigord and Quercy: foie gras, tourin, confit, magret, Bergerac wines and more, something to wake up the most demanding taste buds. An unforgettable motorcycle experience is guaranteed ! If you want to add a motorcycle rental to that tour or for any special request contact us to get a quote. 6 nights in two and three star hotels (standard) or three and four star hotels (superior) with continental breakfast. Tour information package with road-book and travel tips (paper and electronical).